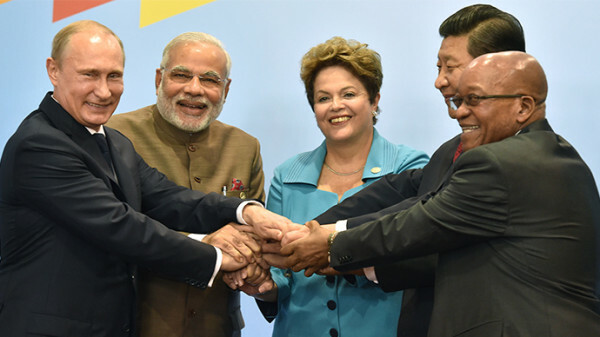 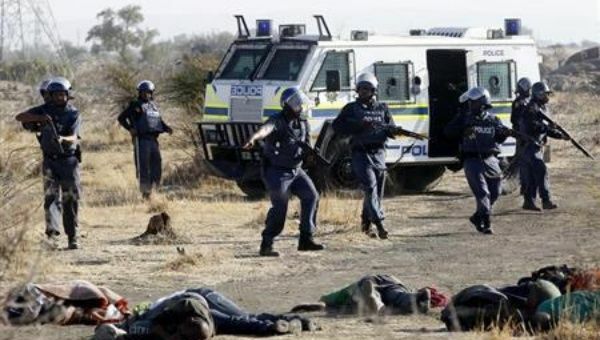 November 9, 2014 -- Links International Journal of Socialist Renewal -- What we have warned the South African workers and broader public about has come to pass. 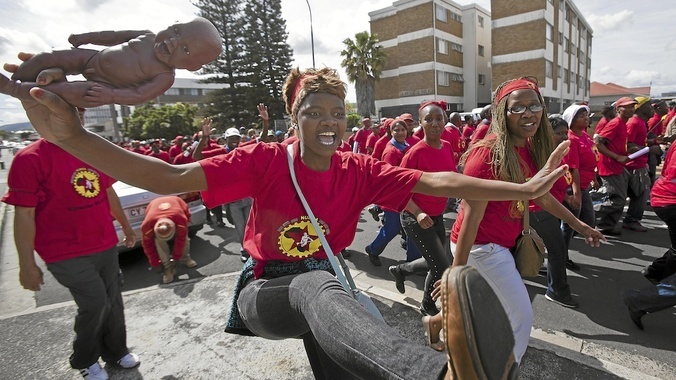 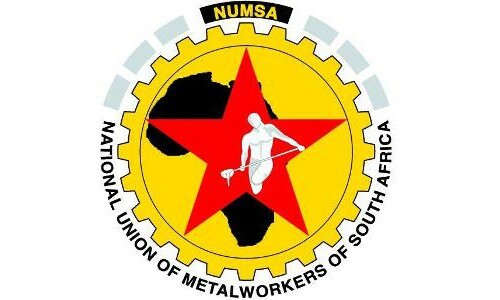 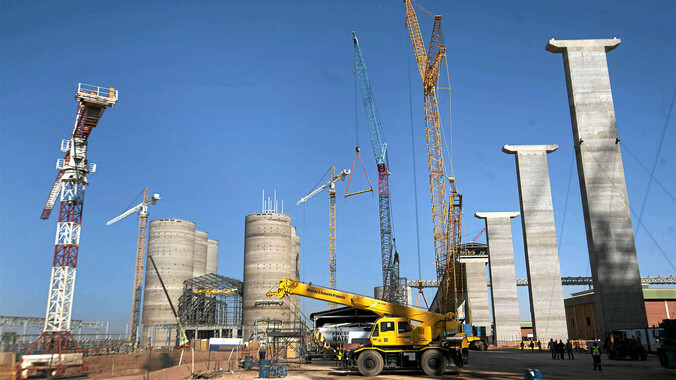 The National Union of Metalworkers of South Africa (NUMSA) with its 350,000 members was expelled as an affiliate by the Congress of South African Trade Unions (COSATU) in the early hours of Saturday morning (after 1 am), November 8, 2014, at a Special Central Executive Committee meeting (SCEC). 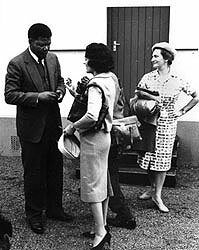 This expulsion took place through a vote which was 33 for our expulsion and 24 against. 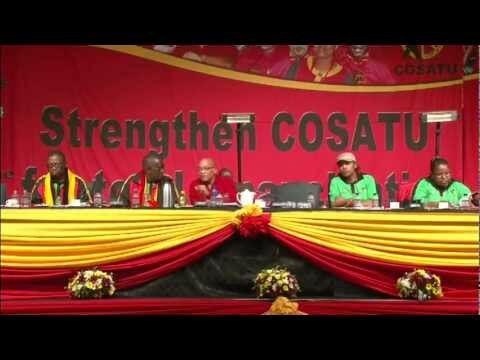 November 9, 2014 -- Links International Journal of Socialist Renewal -- Below are the speaking notes Jim's presentation to the Congress of South African Trade Unions (COSATU) Central Executive Committee meeting to discuss the union's expulsion from the federation, on November 7, 2014. 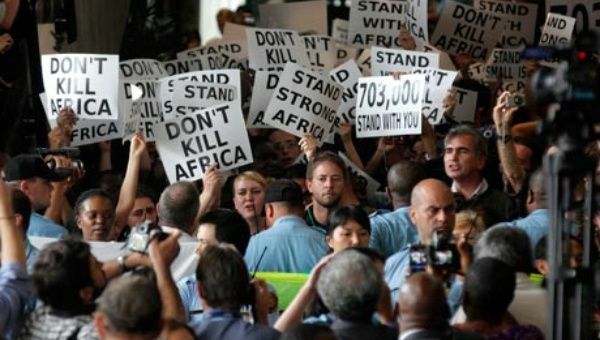 After meeting through the night, delegates voted 33-24 in favour of expelling NUMSA, South Africa's biggest trade union, the largest union in the federation and a vocal critic of President Jacob Zuma's neoliberal regime.